We’ve already covered the Queensland and Tasmanian markets in Part 1 as well as the Melbourne and A.C.T. markets in Part 2. Kevin: Certainly, the market that everyone’s been focused on in the last 12 months or so is Sydney and New South Wales. Giving us a bit of an idea about what’s happening there, George Raptis is a Director of Metropole Property Strategists in Sydney. George, it’s been a spectacular year for Sydney, hasn’t it? George: It sure has Kevin. Sydney has definitely been a stand-out performer as far as our property markets are concerned. The winter auction market has come and gone – it’s finished on a high – as we look forward now to the impending springtime with confidence on a real high level for would-be sellers. Kevin: We saw great increases in there, according to RP Data, of about 17% over the last 12 months. The median is at $740,000. What’s the median unit price for units now? George: The median unit price is $565,000, Kevin, so we’ve seen over a 12% increase in the last 12 months. As we know, that is an average. Some areas have performed better and some, obviously, a bit less. Kevin: Do you see that growth cycle continuing? George: I don’t really see anything changing at this stage. We’re all predicting it. People have been predicting it for a while, but we’re out there and about every day during the week, on Saturday, at the auctions, and I haven’t seen it waning at all. I just see it keep going on. Kevin: It’s obviously going to make it tougher for people who are struggling to get into the marketplace now. What’s been behind this? What has driven that growth, George? George: I think it’s a number of things. I guess in Sydney, we had the last real boom there in the late ’90s. Late 2003, early 2004, we went through a bit of a flat spot there. We saw Brisbane take off and Melbourne. Some people would just say it’s our time. I think it’s also that interest rates now are at a historically low rate, so people are finding it more and more affordable to be buying. I think the other thing, also, that not a lot of people are putting a lot of kudos or emphasis on is population growth. Last year, Sydney grew by about 70,000 people – partially immigration and mini baby booms. A lot of the immigrants these days are looking to come to the two big cities as far as looking at job opportunities are concerned. I think it’s a combination of all these things. Kevin: I think I saw a report somewhere, George, from you, that there were about 27,000 apartments under construction in metropolitan Sydney. Are we headed for a bit of a glut there? George: We had struggled in the last few years as far as an undersupply is concerned. There are a lot of these new things popping up out of the ground, but a lot of them are concentrated in specific geographic locations. These are obviously locations that we’ve steered clear from, but they are definitely coming out of the ground, for sure. Kevin: Anyone looking at investing into that market – where would you suggest they should look? George: In that particular market? George: In Sydney, I’d suggest focusing on those inner and middle ring suburbs. The Inner West, the Lower North Shore, the Eastern suburbs, these three tribes, as we call them, have been the standout performers. 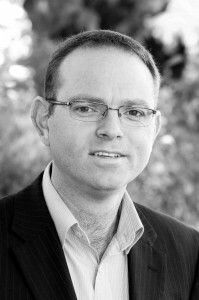 Kevin: George, thanks for your time – George Raptis from Metropole Properties in Sydney. Thanks, mate. George: You’re welcome. Thanks, Kevin. Kevin: Let’s move across to the South Australian market now. We’ll have a look at what’s happening in Adelaide in that state in particular. Joining me is Angelo Mena from Alexa Real Estate. Angelo, I noticed that the median increase in the Adelaide market has been fairly moderate compared to markets like Sydney and Melbourne. Is that what you’ve noticed? Angelo: That’s correct. What we’ve seen is that about two years ago, obviously, there was a bit of a dip, but we’ve seen that the markets have picked up a bit. That’s probably owing to the lower interest rates helping out a fair bit. Kevin: RP Data tell us that the median in Adelaide right now is $410,000 for houses and $335,000 for units. It’s still very affordable compared to some of the other markets around the country. Kevin: Is that what’s actually driving that market for you? Are you getting good first-home buyer interest? Angelo: We are getting a lot of first-home buyer interest, but again, I go back to the lower interest rates. I think that’s what’s really driving the property market pretty much across the board across the country. Kevin: What will happen if that turns around, Angelo, and we start to see rates increase? Do you think that’s going to be a bit of a downturn? Angelo: It will be a downturn across the whole country, not just in South Australia, I think. If you look nationally, with companies like Qantas pulling back, mining projects not going forward, the manufacturing industry, all of these aren’t positive things for the economy. 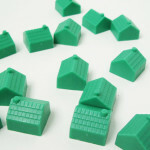 You have to look at what’s really driving the property market, and lower interest rates are certainly a positive thing. Now if they turn around, then that’s going to have some impact. Kevin: The South Australian market – in particular – has been one that’s very badly hit in recent times, and we were just starting to see that emerge, that turnaround. That’s obviously on the back of affordability. Angelo: Yeah, for sure. You tend to see the Adelaide property market lagging behind the Eastern states. Once you’ve seen a bit of growth in the Eastern states, traditionally you’ll see Adelaide following suit afterwards. Kevin: Another stat that’s interesting, Angelo, is the vacancy rate of 1.5% – very, very low – that’s according to SQM Research. Just in closing out, Angelo, anyone who wants to invest in the South Australian market, where would you recommend they should look right now? Angelo: The Inner Western suburbs. Areas like Kurralta Park, North Plympton, Plympton, and Torrensville – all of those kinds of areas. They’re relatively affordable. They have good zoning, as well. In addition to that, you also have the convenience of being so close to the city and the sea and also the infrastructure around the area. Those kinds of areas are really positive, I think. Kevin: Angelo, could you just repeat those suburbs again for me? Angelo: I think Kurralta Park, North Plympton, Ashford, Keswick, Marleston, Glandore, Torrensville, and all of those kind of areas. These Inner Western suburbs are close to the city, they’re close to the sea, they have good infrastructure around them, and they have shops and a lot of schools around, as well. All those are fairly positive. If you were to go the same distance to the Eastern suburbs across the city, you’re talking about a $200,000 or $300,000 price jump. Kevin: Angelo Mena from Alexa Real Estate in South Australia. Angelo, thanks for your time. Angelo: Great! Thank you very much. If you’ve just joined us you can catch up on our last transcripts with Shannon Davis & Mark Devine here or our transcript of Michael Yardney & John McGrath interview here. Keep an eye out for our next chat with Damian Collins & Jorgan Hucent.